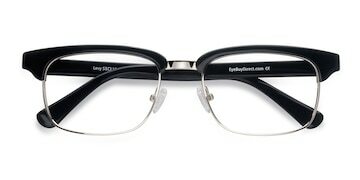 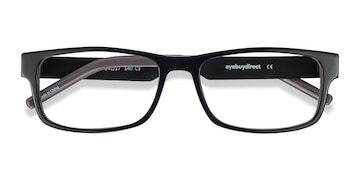 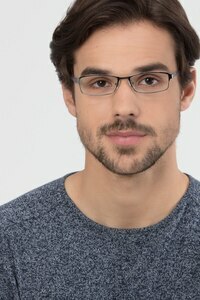 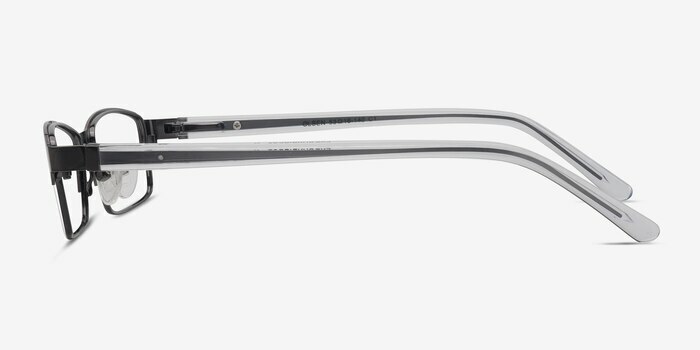 Get a youthful, modern look in these Olsen eyeglasses. 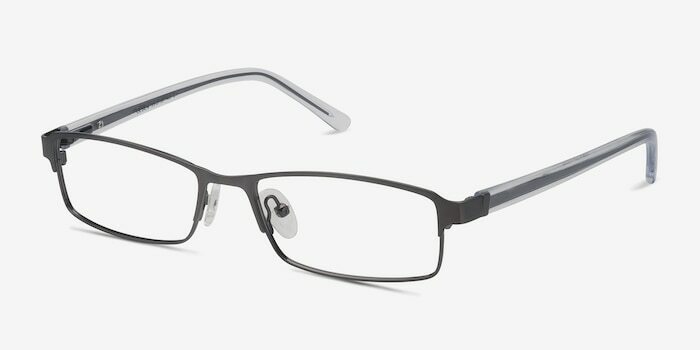 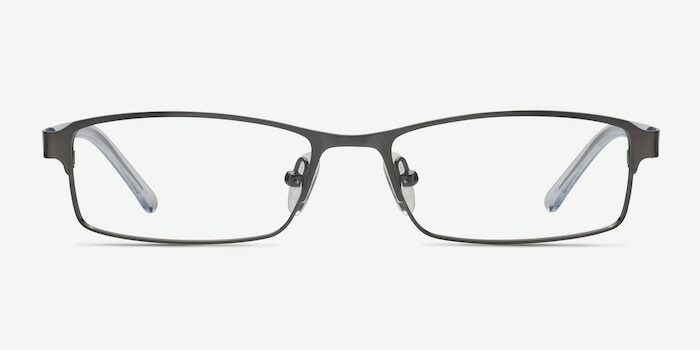 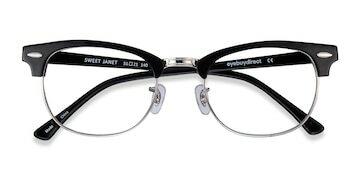 A slim, understated full-rim gunmetal design is quirkily blended with chunky, translucent temples to create a fun, fresh frame. 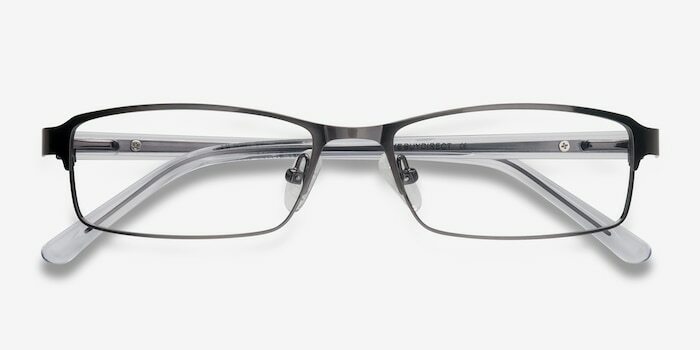 Spring hinges, premium metal material, and adjustable nose pads mean Olsen is both comfortable and cool.